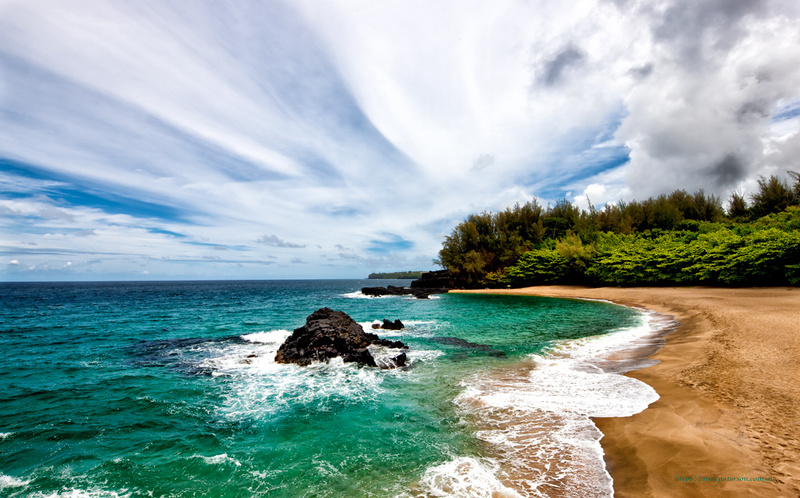 I love this stunning beach, its in Kauai Hawaii, its called Lumahai Beach and I dedicate it to my amazing wife. Normally I travel alone but on this occasion she was standing right next to me witnessing this amazing sunset. This beach is special to me, its all about me and its what I’m all about. Solidarity in a pure moment with no distractions. You make my heart glow and bring a smile to my face, can’t ask for anymore and I certainly never will. Life is all about moments whether they are fleeting or not, both good and bad. The trick is to ensure there are more good moments than bad and its kind of hard not to be having a good moment when you’re surrounded by beauty like her and this. 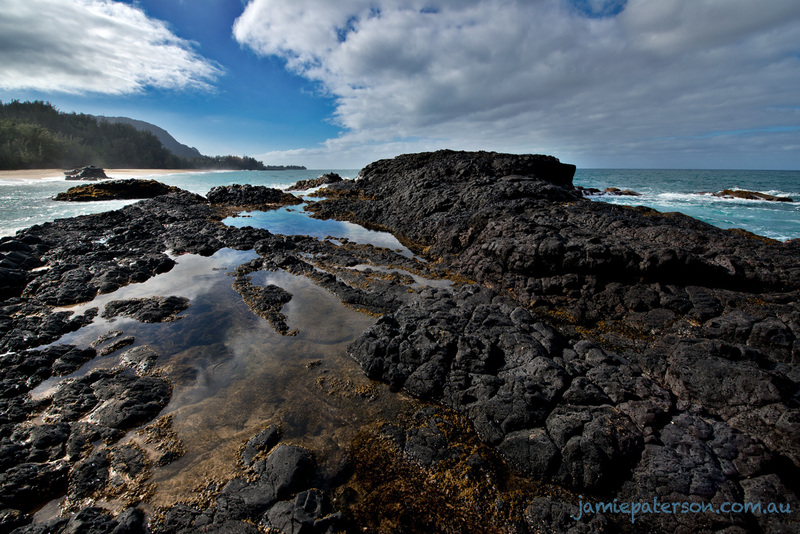 I always get so excited when I know I’m heading off to Kauai to do some landscape photography. Its just such an amazing place to take photos and its so hard to come away with anything but spectacular shots. 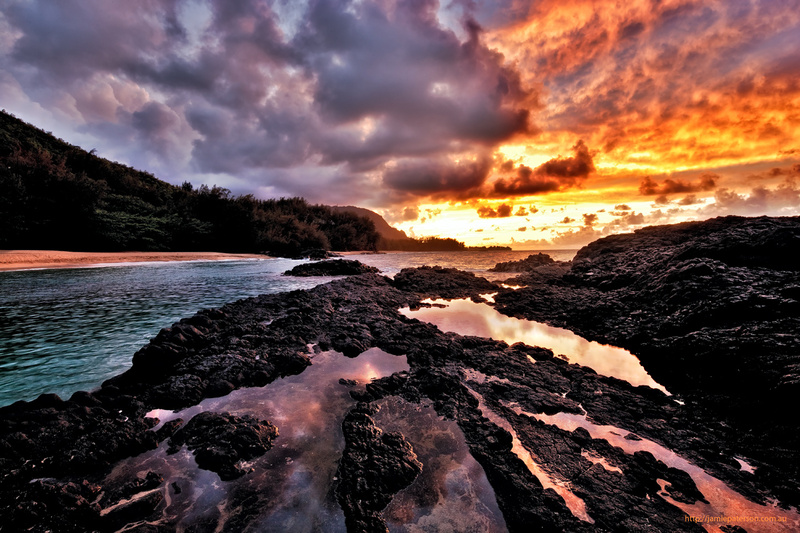 The other reason though why I love heading to Kauai is that life just seems so simple there. Whether that is just my perception or not I’m not sure but most people out on the North Shore just seem to be content to just make enough money to allow them to surf or just chill out. Time doesn’t really seem to matter there either. It reminds me of Margaret River in the early days. So are there any places left like this within a few hours of Perth at all? If there is, I’d love to know about them. 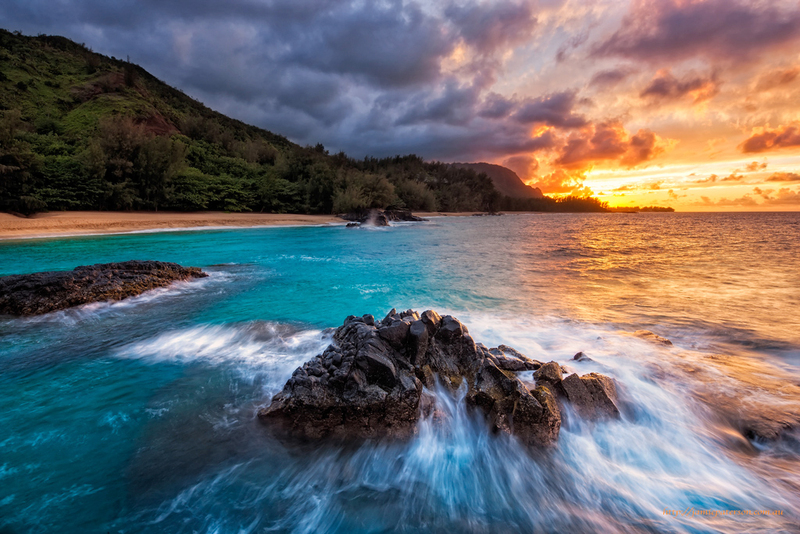 Preferably by the sea as we all know how important seascape photography is to me.